The New Humanitarian | Why are so many women killing themselves? Why are so many women killing themselves? The Maternal Mortality and Morbidity Study 2008/2009 undertaken by the Family Health Division (FHD) of the Department of Health Services looked at changes in maternal mortality in Nepal since 1998, when the last survey was done. The year-long study from April 2008 of women of reproductive age (15-49 years) was carried out in eight districts chosen to represent different ethnicities and levels of development in Nepal. The total population of women of this age group in these districts was over 86,000. But in preliminary findings that the study described as shocking, of the 1,496 deaths recorded, suicide - rather than maternal-related issues - was the single leading cause of death, accounting for 16 percent of deaths. In the 1998 study, suicide ranked as the third single cause of death. The finding "highlights the urgent need to address this issue, which has received little attention since its significance was first noted in 1998," the study said. The second single leading cause was accidents, accounting for 9 percent of deaths; no details were specified about the nature of these. Young girls return home from school in Maila, Humla District, Mid-West Nepal. Many students trek on an empty stomach two to three hours over steep terrain to get to and from school and are left little time to study. Young girls return home from school in Maila, Humla District, Mid-West Nepal. "We are absolutely concerned with the findings. This was totally unexpected," Bal Krishna Subedi, who led the study and is a former FHD director, told IRIN. "It has opened our eyes to delve into this issue," he said. The study also found the overall maternal mortality rate in Nepal had improved to 229 maternal deaths per 100,000 live births, compared to 539 maternal deaths per 100,000 live births in 1998. The study said mental health problems, relationships, marriage and family issues were factors in suicides, as was youth, since 21 percent of the suicides were committed by young women aged 18 years and under. However, it did not elaborate on these issues and noted that more research was required into the causes. "Research is needed to improve understanding of the circumstances and contributory factors of these tragic events, to guide interventions," it said. "We need more analysis to find the causes behind suicide, in order to go forward to address this serious concern at the community level," said Sushil Baral, health adviser for the Nepal office of the UK Department for International Development (DFID), one of the study’s funders. "Gender-based violence could be one of the major cause(s), but to what extent it actually impacts, needs to be further studied," he said. Women activists said the study results were not surprising, and that the problem could be even more widespread because suicides are under-reported. "Most families will never report suicide cases as they are afraid of being entangled in police cases," Pinky Rana, director of Samanta, a local women’s rights NGO, told IRIN. 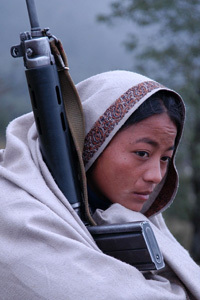 The only way to prevent suicides is to criminalize the causes of death, such as dowry disputes and domestic violence, said Sapana Malla Pradhan, a member of parliament and president of the Forum for Women, Law and Development (FWLD). "Once there is suicide, the case is closed and never investigated on what led women committing such [a] drastic step, said Pradhan. There was a need for proper research to get an accurate picture of suicide among women. However, most aid agencies were not interested in funding such research or studies, she added. Women’s groups also said there was a need for psychosocial counselling in many parts of the country to help women to cope with issues such as depression. "There is a crucial need for counselling training programmes and we need more counsellors to help these poor victims," said Pradhan.